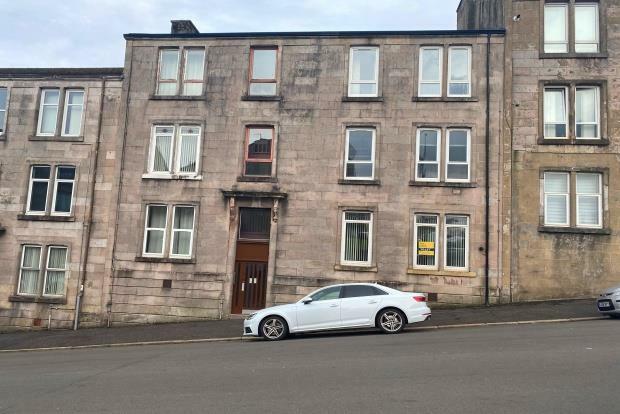 2 Bedroom Flat To Rent in Greenock for £375 per Calendar Month. An excellent opportunity to rent a two bedroom, ground floor flat within a popular residential area. The accommodation is ideally located for many amenities including local shops, transport links, James Watt College and Greenock Sport centre. The traditional building comprises of security entry leading to a communal hall and out into the well maintained communal rear garden. A bright lounge to the rear of the property leading to an open plan traditional fitted kitchen offering ample storage and an electric oven and hob. This property further offers a two double bedrooms and a family bathroom with a shower over midi bath. In addition the property has gas central heating and double glazing.